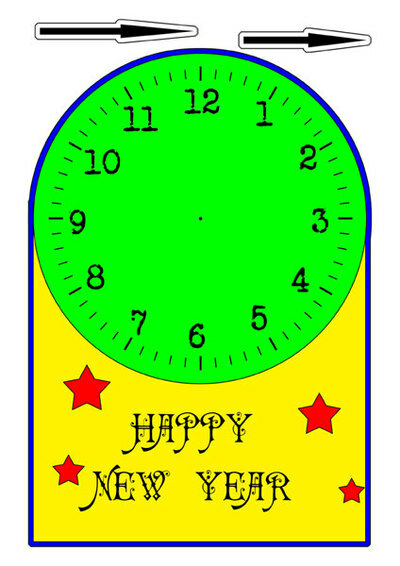 Here are some fun and funky clocks to play with, learn the time with and count down to New Years - all at the same time! Time: 15 minutes making time. Print the downloads on A4 card. 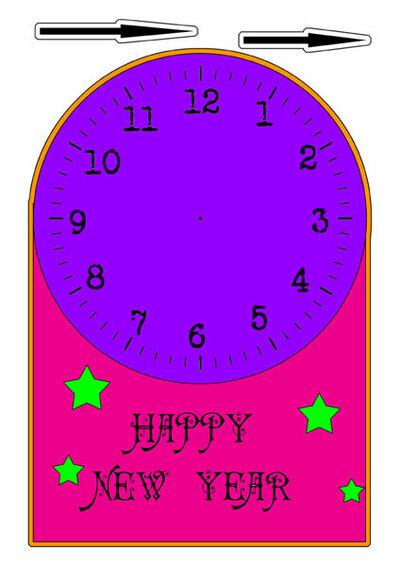 Cut out the clock and dials. 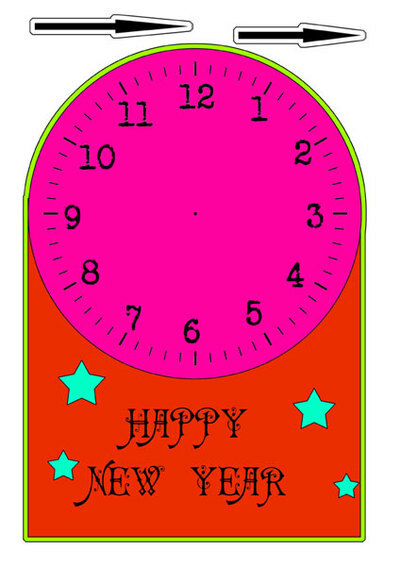 Make a hole in the center clockface where marked. 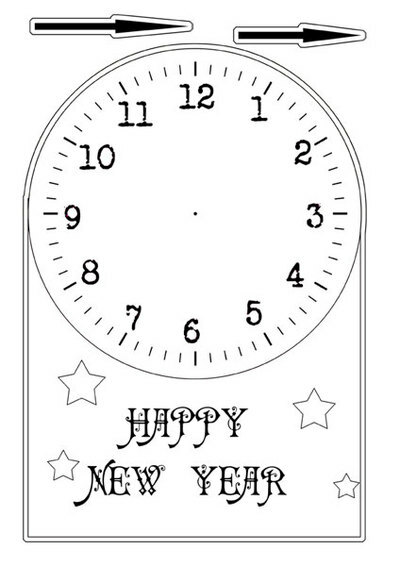 Attach dials to center clockface with brads. Here's one to colour yourself.